A few weeks ago, I was contacted by US clothing brand Chicwe and asked if I wanted to try some of their items. A quick glance at their website told me to answer YES straight away, they really do have some lovely stuff! Their website stocks up to a size US 28, which is a UK 32. They don't have everything in this size range, but I think most of us have come to expect that already. That said, they have some lovely bits and this top and dress fit me perfectly. The top is made from a nice stretchy material. This means it has a nice fitted feel to it but it is soft enough not to dig in and feel uncomfortable. The skirt has an elasticated waist and is a generous size to start with, so would probably fit a bit bigger also! The photos were taken at the most recent Club Indulge Weekender which was amazing! If you haven't been, you should check it out! You'll have to excuse the slight blur of the photos, the whole weekend went by so quickly and we were in a rush to get these taken. That said, the outfit was really comfortable to wear and I would definitley wear it again - and shop at Chicwe! Have you checked out their website? What were your favourite pieces? If you follow me on Instagram you’ll see that last week I visited Manchester and popped into see jo at Topsy Curvy. It was at her temporary premises but still amazing – she moves into her new permanent shop hop next week and I am really excited to see what it is like! One of the things I love about Topsy Curvy is that they do lots of clothes which have plenty of stretch, this means I can get away with things technically too small. When you’re used to being sized out of plus size fashion, this is a really nice feeling! 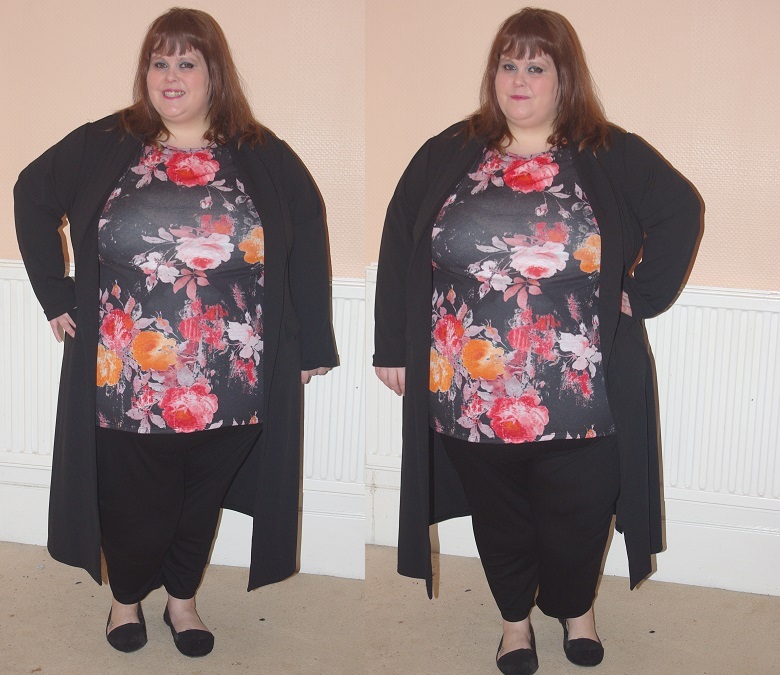 I’ve spoken about it before and I love Jo for her passion for plus size fashion – she is constantly striving to stock items above a size 26 and she’s doing really well at it! 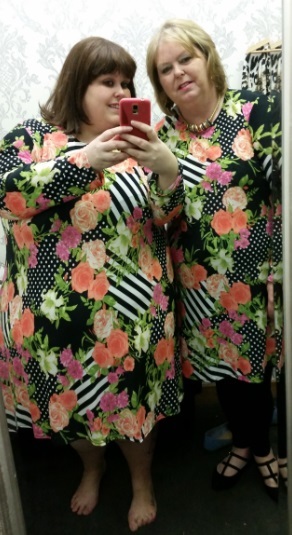 This floral jersey dress is a size 26, but it fits me well and I love the length of it. They have also recently started to stock over brands and this denim shirt is one of the items that have come from Lovedrobe. I wouldn’t usually wear something like this, but Jo encouraged me to try it on and see how I felt about it – and I have to say, I really like it and I am so glad I did. Topsy Curvy are doing great for fast plus size fashion lately and it’s amazing to see the brand grow! I can’t wait to see what the new premises brings, hopefully more items like this! A few weekends ago I was invited out for a Sunday carvery with a friend of mine and jumped at the chance. Sunday dinner is without a doubt my favourite meal in the world, so being able to do this in a countryside pub sounded perfect! Luckily a few days beforehand the lovely lot at Lovedrobe had sent me this beaut of a dress so I knew exactly what I wanted to wear. 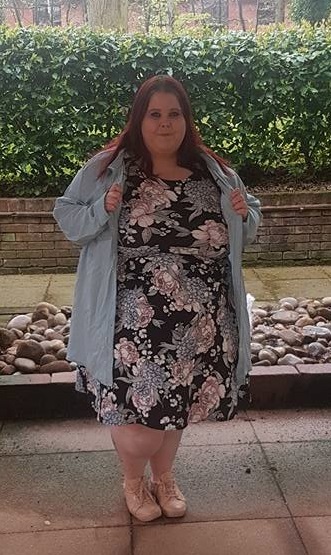 Slowly but surely Lovedrobe are starting to get more clothes in sizes 26 and above. They actually have a pretty decent selection of size 32 dresses in at the moment, which is always good news if you ask me. I'm a big fan of these style of dresses, where it looks like you're wearing a top and a skirt - I have a few older ASOS ones and it's something that Scarlet and Jo do extremely well too! I liked the pale pink and black of this dress, because it is lovely looking without being too bright. I love bright colours don't get me wrong but I thought this made a nice change. It has a tiny little bit of netting inside the bottom of the skirt which I really liked too. Size wise it was a tiny bit tight but I actually preferred it that way. I liked the shape it gives me and the fact that the skirt flairs out a bit is a shape I enjoy. If you're much bigger busted than me you might struggle or need to size up, if you're able to. I have to share with you the dinner I had, at The Forest Pub in Feckenham - it was absolutely beautiful! I had this dinner washed down with a glass of really nice rose and to be honest with you I went home a very happy girl. I am by no means a professional food blogger but I would recommend this place if you're in the area, it was lovely! Sorry for the lack of decent blog posts lately, as most of you will know I moved house a month ago so things have been a bit up in the air. I am a lot more settled now so I am hoping to be able to get my head down a blog a bit more often. Last weekend I was invited out for a Sunday carvery with a friend of mine and jumped at the chance. Sunday dinner is without a doubt my favourite meal in the world, so being able to do this in a countryside pub sounded perfect! Luckily a few days beforehand the lovely lot at Lovedrobe had sent me this beaut of a dress so I knew exactly what I wanted to wear. Firstly, apologies because this post is well overdue! It's one of those that I kept meaning to write but kept forgetting. A good few weeks ago now the lovely ladies at Topsy Curvy invited me down to check out their shop in Manchester. I decided to make a day of it and take a long my mama for the day - and what a lovely day it was. Considering I hadn't been to the shop before and I don't know Manchester well, I found the shop SO easily. Hop on a bus from Picadilly Gardens, it's about 20 minutes away and the bus stops right outside perfect. The shop itself is really, really lovely. 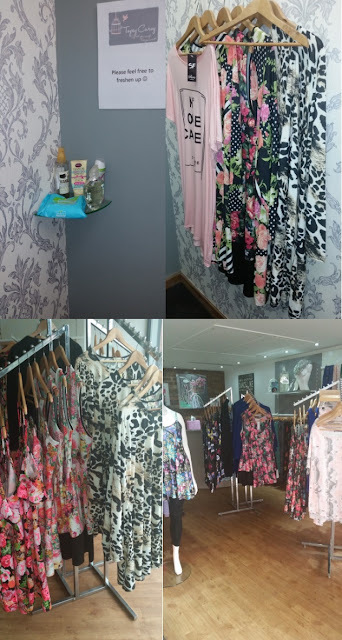 You can see that the girls are passionate about creating an enjoyable shopping experience. The lay out of the shop is perfect with everyone easily seen and rails that aren't too close together - don't you hate that? They're attentive and happy to help. Perhaps one of the things I love most about Topsy Curvy as a brand is how much the girls know their stuff. Since they launched I have become good friends with Jo, Charlotte and Bethany and it's been a real pleasure to see them learn and their brand grow. ANY items that you ask them about on the rail (or on their website) they know about the fit and if it will suit you. They can advise about sizing up or sizing down, which is essential when you're shopping online. 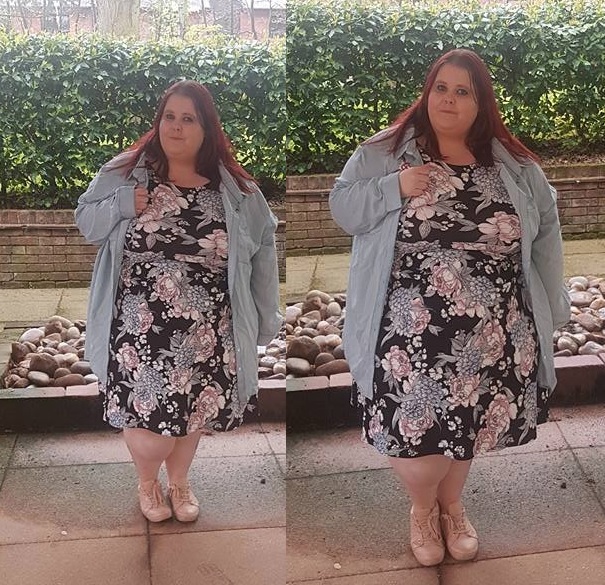 I give brands a hard time about clothes sizes, but I do know how hard it is to source items above a size 26 even if I would love shops such as Topsy Curvy to have more in my size. 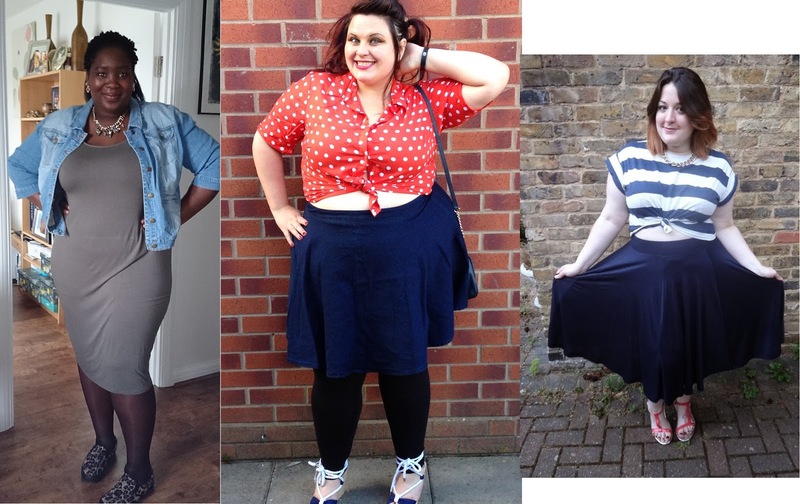 Anyway, I know that Topsy Curvy are helping the campaign for change. They tell me regularly about conversations they have with suppliers asking for MORE! 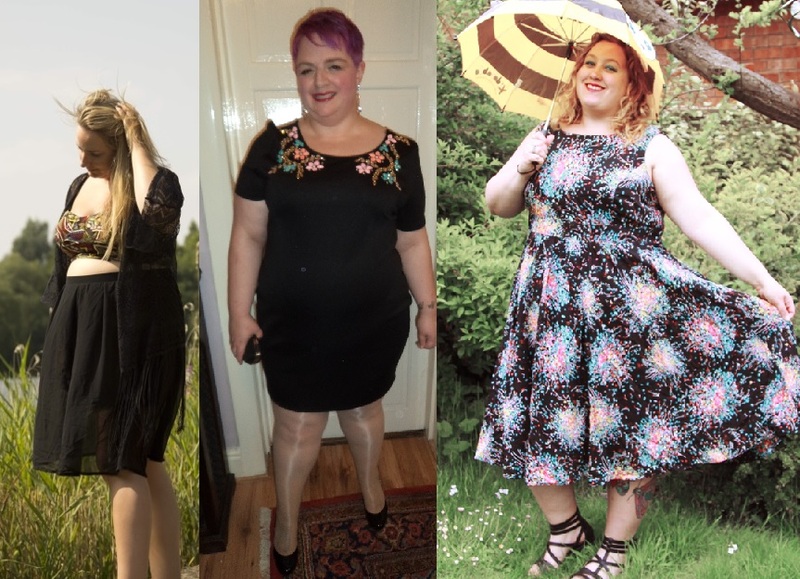 For example about a fortnight a go I started to complain about all of the Christmas swing dresses stopping at size 26 - the girls listened and now have one dress up to a size 30, with the idea of more to following. AMAZING! LOOK AT THE MASSIVE MIRROR!!! Perhaps one of my favourite things about their store is the dressing room. For starters the mirror in the room is MASSIVE, which is perfect for seeing how items look on you. There is seating in the room and even a pair of high heeled shoes for you to slip your feet into if you want to see the outfit in something different. They even have a little stand with perfume,baby wipes, handcream and deodorant so you can freshen up after a trying on session, perfect! If you're around Manchester then I recommend that you pop into store, because it's exactly how you'd imagine your perfect plus size high street shop to be! Seeing as today is my first day off work in what seems like forever I thought I would have a look at buying something to wear to The Curve Fashion Festival next weekend - nothing like leaving it to the last minute eh? I tried all my usual outlets but nothing seemed quite right. I thought I'd try outside of the box and go for something different. I had seen Interrobang Art & Fashion mentioned on social media before but never paid much attention. When I had a proper look today the first thing I noticed on their Etsy page was that they had such a range of items. Clothing patterns, plain colours, films and much more - it was lovely to see such an array of choices. However perhaps more importantly was their size range. 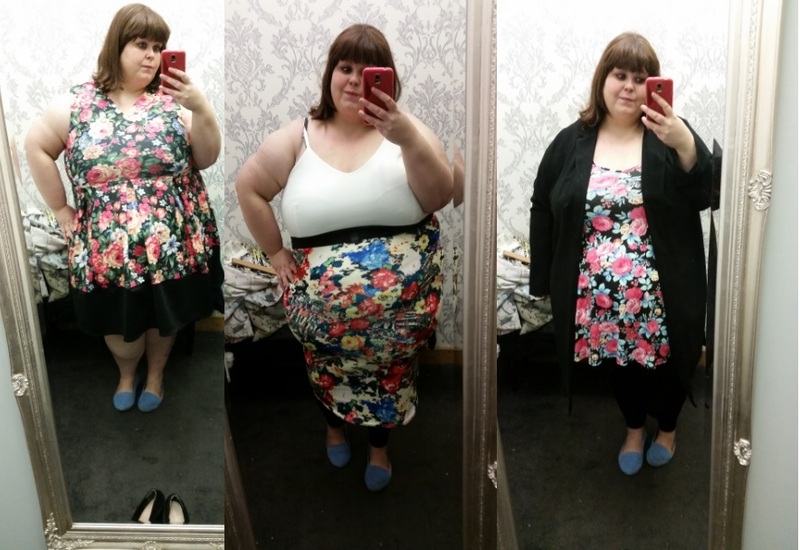 I was literally over the moon (OK, maybe not literally) to see that their items went from a size 6 to a size 36. I get excited when I can buy usual prints in my size, but it excites me even more when I can see that pretty much everyone can wear the items on offer. It's so rare to see such an offering that I had to write about it straight away! This is exactly what I want to see from retailers especially those who claim #plusisequal #stylehasnosize etc. This lady has been quietly doing what we wanted all along and that is something that needs to be celebrated! I have messaged her to see if she can get me a skirt in time for Curve Fashion Festival. 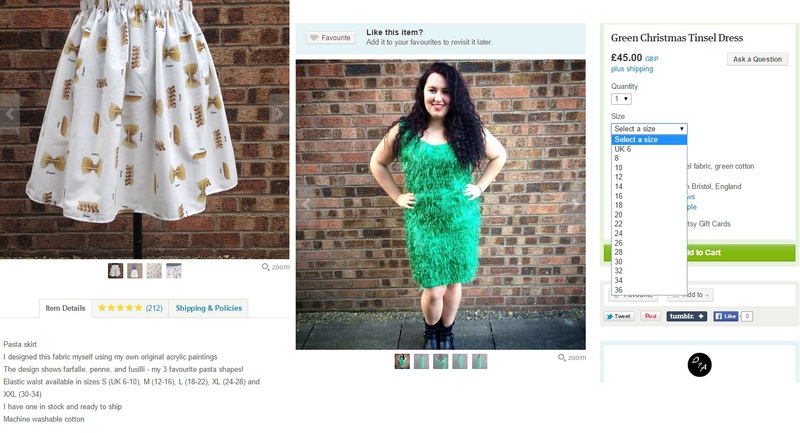 Either way I'll be buying an item so expect a proper review soon - I just couldn't wear to share it with you all! What is your favourite item of theirs? A couple of weeks ago I discovered that my local New Look still had an Inspire section. To be honest I rarely look for clothing on the high street so I just assumed that it would have disappeared when I heard that they had gotten rid of so many. However, I was happily surprised to discover it's still there! On pay day I popped into do some shopping before work and I am so glad that I did. For starters they had an amazing sale on which meant I came away with 2 dresses, a top and a pair of shoes for £21 - now that's enough to make anyone happy! 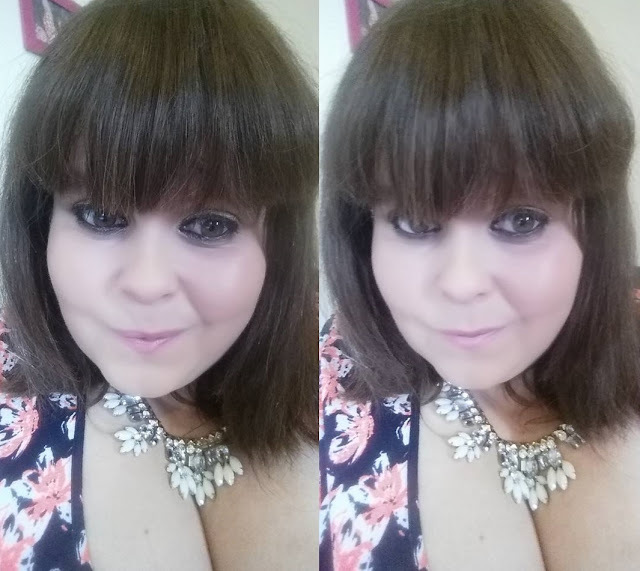 On top of that, despite the signage saying up to size 26 I picked up a top in a 32 and a dress in a 28. 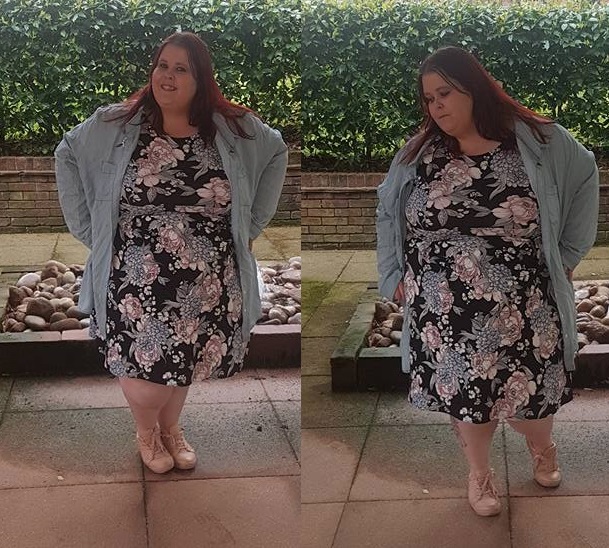 It might sound like such a small thing, but buying affordable clothing in my size ON THE HIGH STREET really did make me very happy! 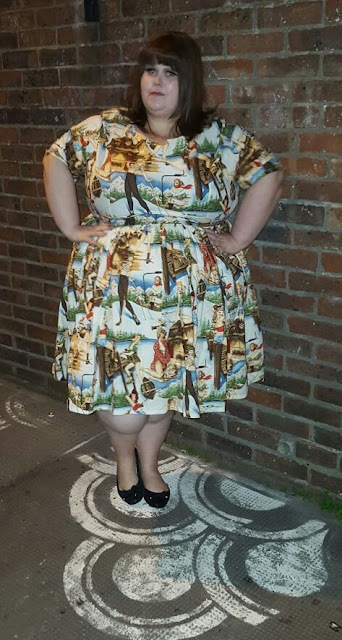 I managed to pick up this beautiful dress for the 'hefty' price tag of £7! It's a really nice material which clings to my body and gives me a shape that I enjoy. I'm wearing this in a size 28. It's a big clingy so it does ride up a little - hence the wise decision to wear leggings! The shoes were £3 in the New Look sale too - YAY! Now as you know I am a fan of belts to give me a shape - I couldn't fit a belt I liked so instead I improvised. You can't see it in the photos but around my 'waist' I have the strap of a handbag wrapped around me in a belt style. It's nice and tight so I really like what it does to my body. 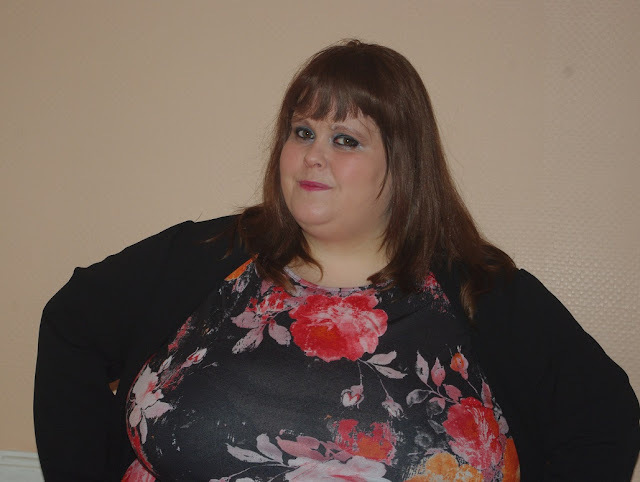 Before I started really plus size blogs I probably wouldn't have improvised in that way before but I am glad that I did. I can't find the dress on the website, but they have loads of stuff in their sale so it's well worth a browse. What's been your best bargain lately? When you think about it, we tend to do our hobbies in groups - because it's more fun that way. You read about hiking groups, trainspotting friends, whole conventions dedicated to comic books and even holidays where you can go with like minded people. That is why, I find it quite surprising that I only attended my first 'plus size event' a few years ago. Fair enough, being plus size probably isn't considered a hobby in the same way that collecting stamps might but it is a massive (pun intended) part of my life. So, it makes sense that I share that with others and I am beyond grateful that I found a way to do that. Don't get me wrong blogging is amazing and the social media network I have discovered is life changing but there is nothing quite like hanging out with people in real life. These are people who know a little about what it is like to live in a body like mine - they're open minded and just as importantly can share shopping tips with me - what's not to love? Over the past couple of years I have attended a number of plus size events and I have come away with a warm fuzzy feeling every single time. There is something empowering about seeing women of all shapes and sizes in a room come together to support each other. From walking on the catwalk, to swapping dresses, discovering new fashions and learning about body confidence these events have a little bit of everything. All of the events (Style XL 2014 and 2015, Curvy Con, Plus London, Plus North to name a few) have been arranged in different ways and they have all bought something a little different to the table. However, they have all left me feeling fantastic! Sharing drinks, dinner, hotel rooms, catwalks and even bras with these women make me realise that I am a small part of something wonderful. We all know that sometimes the world isn't the kindest to us and perhaps sometimes we aren't as kind to ourselves as we should/could be. I am part of a world that is changing this - a real force in the face of the media that tells me constantly that my body and I are wrong. But then I attend one of these events and brands are supportive, women with bodies like mine are walking catwalks in their underwear, they're laughing, chatting, smiling and looking fabulous. They're a part of the changing force in the way the world views us and that is something pretty bloody special! 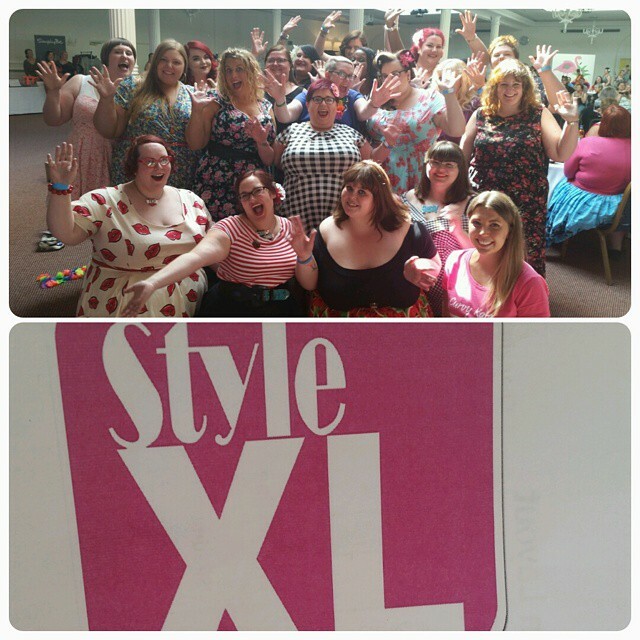 I went to Style XL in Birmingham last week and it was literally amazing. If you read plus size blogs you'll have read so much about it already so I don't want to go on too much. But with catwalks, bra measuring, brand support, modelling competitions, plus size yoga, body confidence talks, dinner, wine, cocktails and much more it was an event that I will hold dear to me for a very, very long time. So... I try to attend as many of these as possible and the next one is The Curve Fashion Festival in Manchester. Their website promises a whole host of fashion shows, seminars, talks, meet and greets and much more. The likes of Tess Holliday and Hayley Hasselhoff and many more will be there! It's smack bang in the middle of Manchester and quite honestly sounds like it's going to be a fabulous day. It's on the 26th September - Will I see you there? If you do come to the Curve Fashion Festival then make sure you say hi but failing that please try your best to get to one of these as soon as you can. I know that living in a body you don't fully love can be tough going, but I promise you that being surrounded by a room full of positive women will be life changing! If you are around my age or older (and perhaps a bit younger) you may have grown up shopping at Evans. As a fat teenager and a fat young woman, they were one of my only options when it comes to fashion. So when it comes to plus size fashion they're one of the front leaders and in fact, they have earned a name for themselves as one of the front runners in fashion. Yes, they might not always have the most outrageous items but they're high quality, well made and reliable... Yes reliable. And that is sometimes just what you need. Today, I decide to browse the Evans website as I often do and saw that they have a 'Try It On' facility. Curiosity got the better of me so I clicked it. Basically, it seems that you enter your measurements and create a little online you, to try on the clothes and see how they would fit... Sounds great doesn't it? Sadly, I can't tell you how well it works or whether it's accurate because their MeModel facility has deemed me 'too fat'. I know, that sounds dramatic doesn't it? But that is how I feel! When I go to put in my weight on their sliding scale, it simply does not go up high enough! So, according to Evans, if I am above 23 and a half stone I don't need to Try It On, or perhaps they are assuming that their clothes won't fit me? Who knows! I know this is a bit of a something and nothing post, but I have been on Twitter tweeting my rage but it is just not enough. Evans stock clothing up to a size 32... If they are going to offer facilities to help us choose clothing this should go up to a size 32 too! I understand that when it comes to fashion there are limitations and I sort of understand when they do special collections up to a size 26 because they feel that larger sizes will not sell. All of this costs THEM money and if they don't want to take that risk then what can you do? BUT This is an online facility. It is supposed to help women choose clothing, perhaps empower women to choose something that they wouldn't usually do. Surely to add high weights wouldn't cost them any extra? So what excuse do they have for excluding me? It feels like another example of 'they' shouldn't wear that and that is not something that I intend to stand for. We Are The They And We're Not Going Away!! We Are The They - A Follow Up! If you haven't heard of #WeAreTheThey then click here or give it a Google. Long story short it is about breaking the mould... breaking fashion rules if you will, well tonight anyway! It is about standing up against anything that 'they' shouldn't do or how 'they' should be made to feel and saying HEY! We're real people and you shouldn't be treating us like this. This evening from 7pm I invite YOU (and your friends and family - no matter their shape and size) to tweet a picture (or 10) of them breaking fashion taboos! Use #WeAreTheThey when you do - I want to see you all! 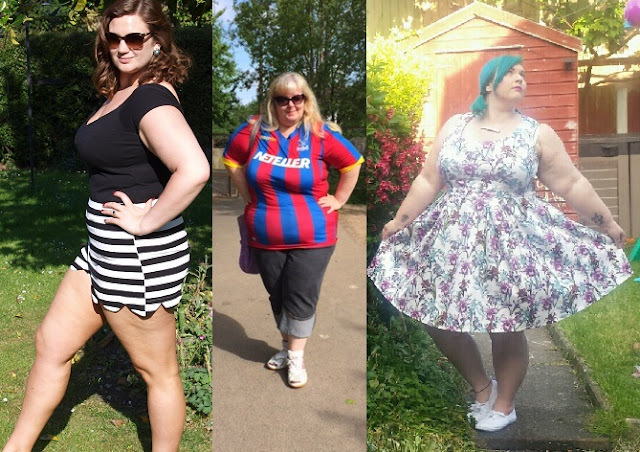 As ever, my amazing plus size blogger family have sent it pictures of them breaking ALL DA RULES! Don't they look beautiful?? So we have body wearing, crop top embracing, arm flashing, figure hugging, striped design loving plus size women living and loving life! They make me so proud!! What rules do you like breaking?? I have blogged before and no doubt will again but the reasons to surround yourself with positive media and influences. We are surrounded by subtle (and not no subtle) messages telling us to be thinner, more toned, healthier - better. Sometimes we read, see and hear these without even realising - but they do go in! For me, my happiness comes from surrounding myself with something different. I choose the bodies I see, the articles I read and the body positivity I surround myself with. What struck me today is that actually there are so many different ways to do this so there are no excuses. Over the past few weeks there have been some amazing opportunities for people to take part in - and many more to come I am sure! For example last weekend I attended an Ezine get together in Manchester. Now don't worry if you haven't a clue what an ezine is, I didn't either. However, I went along to the 'A Fat Activist Show and Tell with Kirsty of Hard Femme/Make It Work workshop' and I am so glad I did. For just oven an hour I spent time with a whole host of fat babes generally chatting about life, issues, fat activism and sharing tips. It was great! 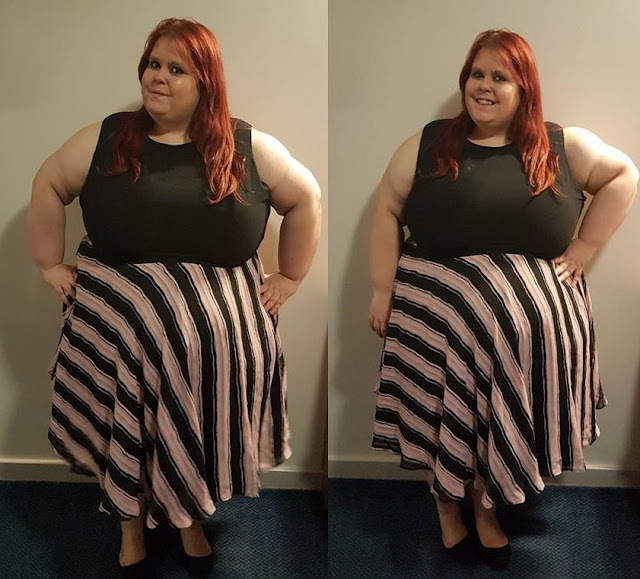 This weekend you could have gone along to a Fat Positive Clothes Swap in Leeds (there was also one in London last weekend). 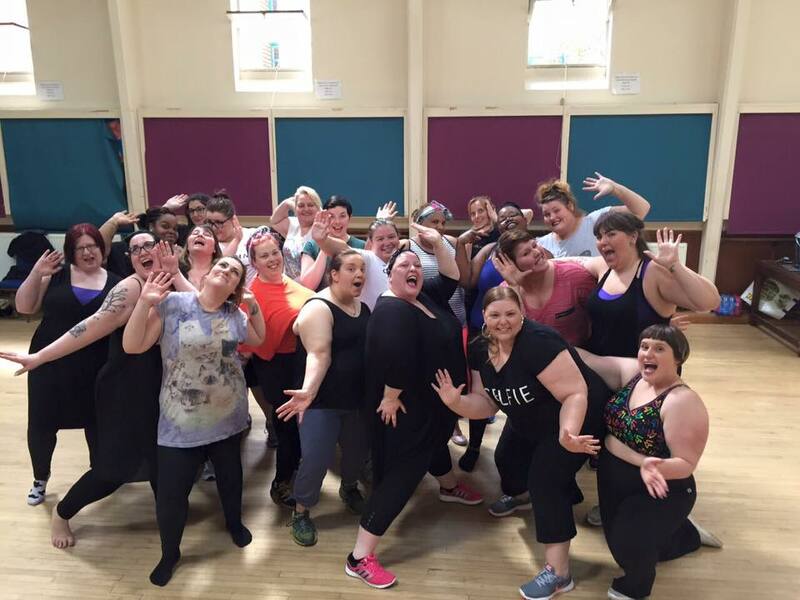 In London it was also the very first Body Positive dance class hosted by Ashleigh Owen. As I type this the video of their first ever dance has gone viral with over 10,000 hits since yesterday afternoon - amazing! This week friends of mine in London also attended a plus size yoga class in order to record a video to promote this - and details are expected to be released too! In April I went to a plus size night club in Birmingham and next month one takes place in Manchester. In fact on the 18th July you could choose to attend a plus size club night in London (including speed dating), one in Manchester or Style XL a plus size fashion event in Birmingham. 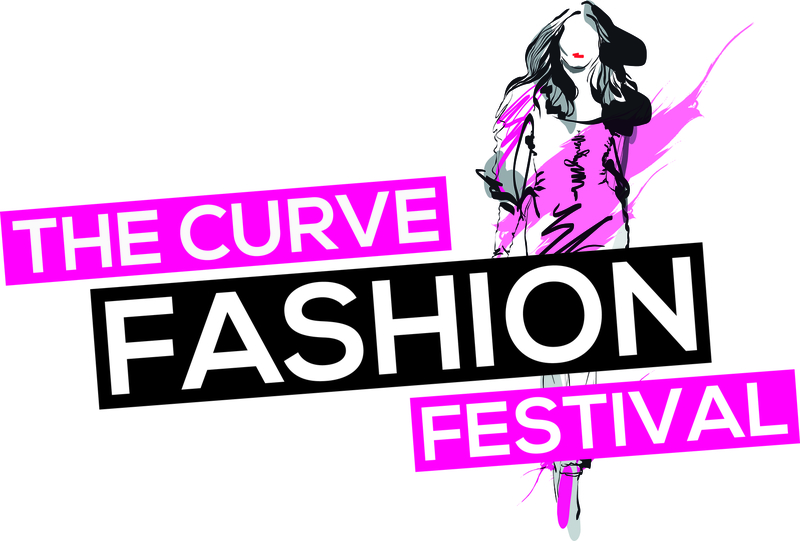 The Curve Fashion Festival is coming up in Manchester in September too! GET OUT THERE! Find these events, create them, join Facebook groups, join in with hashtags and anything else you can do to surround yourself with positive minds and bodies I promise you - it's worth it! So, what are you going to be doing?? Two blogs in a day - I'm on a roll, are you proud? 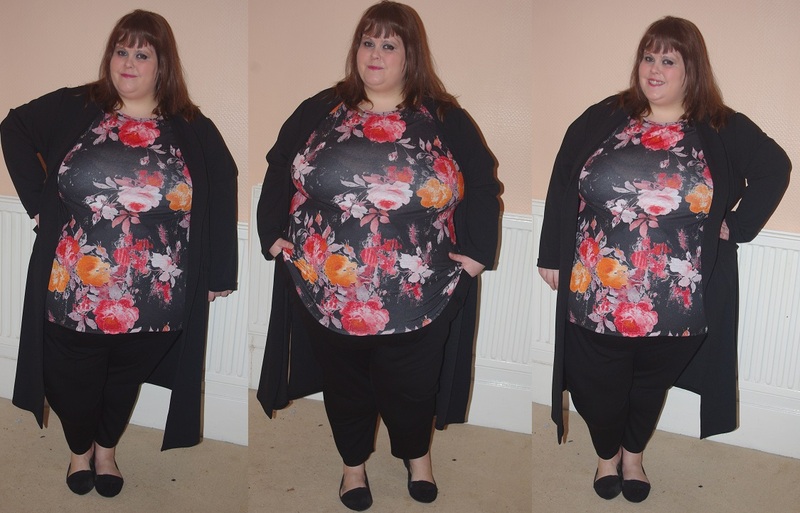 Another day, another blog post on Topsy Curvy! These girls really can do no wrong in my eyes. They're a brand that really listen and they're constantly expanding and offering more. 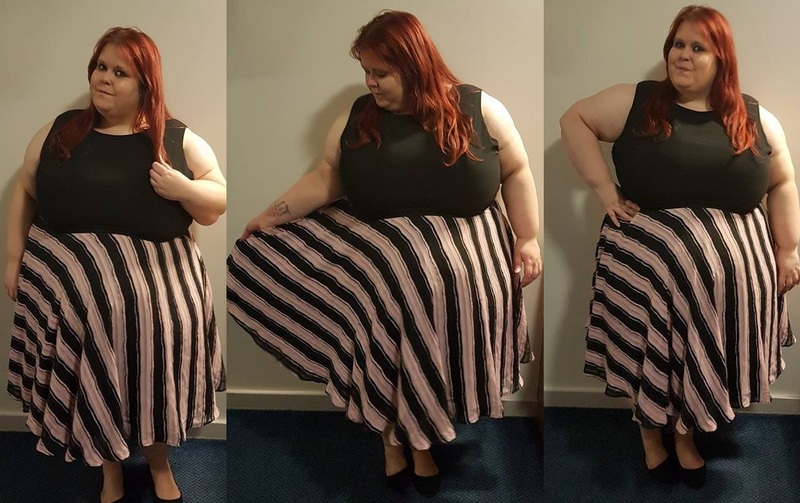 I was lucky enough to hang out with the gorgeous trio at The Curvy Convention a few weeks ago - where they featured on the catwalk and had a stall there too! I had my eye on this dress on their rail and asked what sizes they had with them. The largest they had left (yes they sold lots) was a 20, so I was, of course, a bit disappointed. However, Jo knows me well and told me to try it on anyway. Now, she knows me and she knows her brand, but I was not convinced. Despite believing it would have no chance of fitting, I put it on and it fit like a glove. The dress is designed to be more of a swing style but I am not a fan of swing dresses on my body so this suited me perfectly. I couldn't believe it - a size 20 dress on my body! (I think they have since rejigged the sizing on this one so speak to them before you order). I love the pattern of this dress and the fact that it is long sleeved. It makes it a really unusual piece and something that I would wear again and again. I wore this with plain black leggings and shoes just for a day around the shops but you could easily style it much differently if you wanted to. 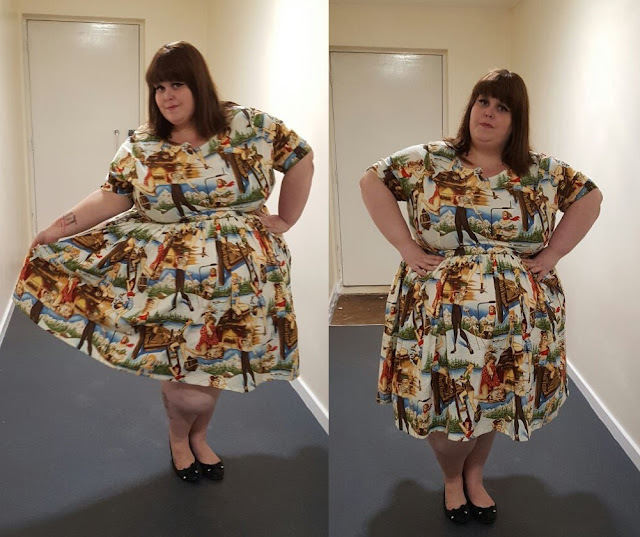 The Topsy Curvy girls are great at describing how things fit on their Facebook page as well as showing photos of people with different body shapes and sizes wearing their items, which makes the online shopping experience much easier! That said, I do want to make a trip to their shop, it looks like it would be so much fun! As you have probably seen from previous posts, I always get excited when I hear about a new plus size fashion option being released. Often I am let own because size ranges stop at a size 24 or the items released are the same items on sale by different retailers... I saw a few people tweet about Polly Grace a few weeks ago and thought I would head over to their website to have a browse. I was pleasantly surprised. I have since learnt that the retailer are actually only a few weeks old so they really are brand new! They offer fashion options in sizes 16 to 32 and items are all things I haven't seen before. I would say that I would love to see more of their range go up to a size 32, but I appreciate that that they are new and that things take time. 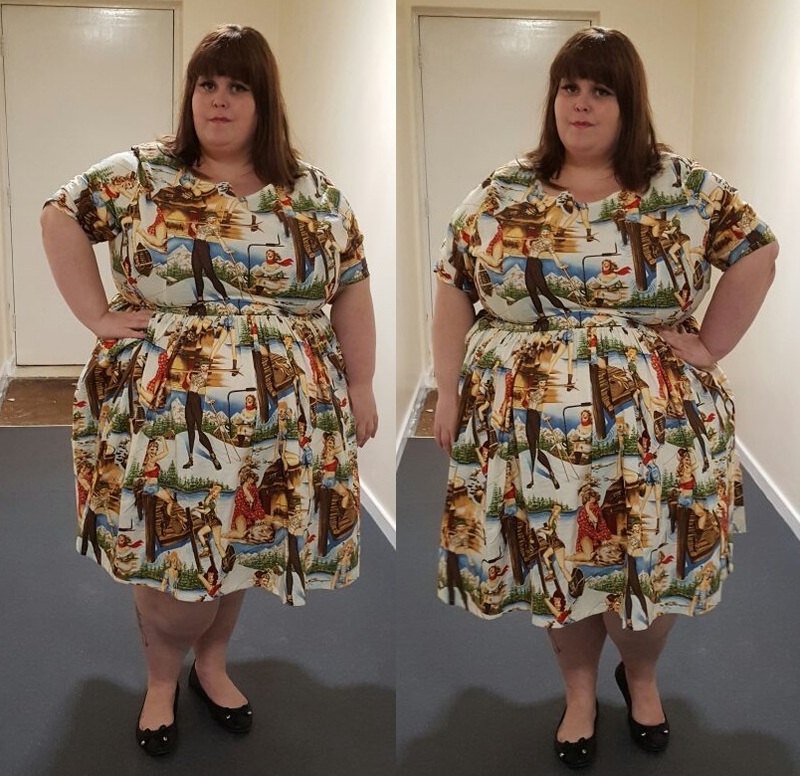 That said, they sent me this glorious dress (The Katrina in multi tropical print) in a size 28 and it fits perfectly. Another reminder that we shouldn't always listen to clothes sizes and instead try things on our body. As you can see the dress has a really lovely pattern on it, perfect for summer. It comes mid calf length on me which is great for people who like a bit of coverage on their legs for summer. It's a lovely light weight material too. You might have seen on my Facebook or Twitter that I wore this to the cinema the other night with a plain black cardigan. It really worked as a casual piece and I have no doubt it could be dressed up too! I tried some Polly Grace leggings too and they were great quality. Leggings are often hit and miss with sizing and I sized down too much so they didn't fit me as I would like. If you do try their leggings I would say to size down just once and they should fit you great. However, the quality of the material was great so I can't wait to buy some to try in my size. Polly Grace might be brand new but they do look set to pack a punch when it comes to plus size clothing options! Have a browse of their website and see if anything catches your eye! They've been mind enough to give me a discount code to give to you guys! 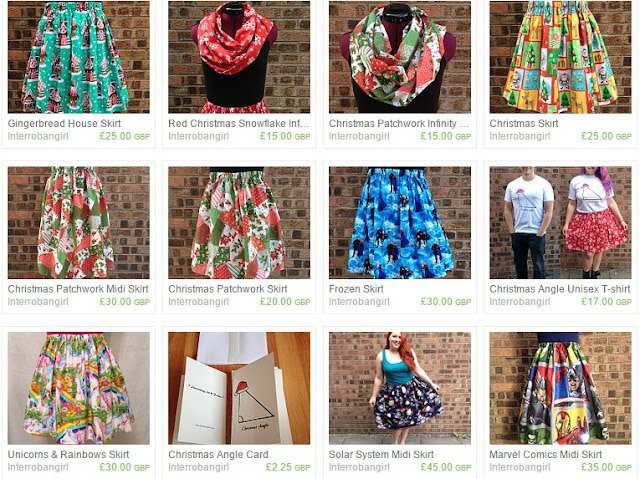 Use wannabe20 at the checkout for 20% off - yay! If you buy something don't forget to show me your pics, I love a good nosey!